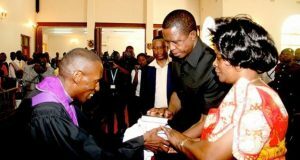 Reverend Mutale Mulumbwa was born on 2nd February, 1958 in Chinsali District near Ilondola Catholic Mission, west of Lubwa Mission, in a typical village called Thomas Chinungi. He is the last born in a family of five brothers. He recalls that life was not easy as he was growing up. However, life brightened up when his uncle, Harrison (now deceased), bought a guitar which young Mutale and his brothers played at weddings and other functions. This was the time he learnt how to sing. Rev. Mulumbwa was baptized by Reverend Bwembya Mushindo (now deceased) in 1971. However, he received Jesus Christ as his personal saviour and Lord in 1975 while he was doing his Form Two (Grade Nine) at Mungwi Secondary School in Kasama, in northern Zambia. After completing his secondary education, Rev. Mulumbwa attended compulsory military training at Kasama Zambia National Service (ZNS) and Mbala from December 1978 to February 1980. In 1986, Rev. Mulumbwa was ordained as Minister of the Word and sacrament in Kabwe after completing four years training in theology at Mindolo Ecumenical Centre in Kitwe. He also a Bachelors Degree in Theology from the University of the Western Cape in South Africa, conferred on him in May, 2013. 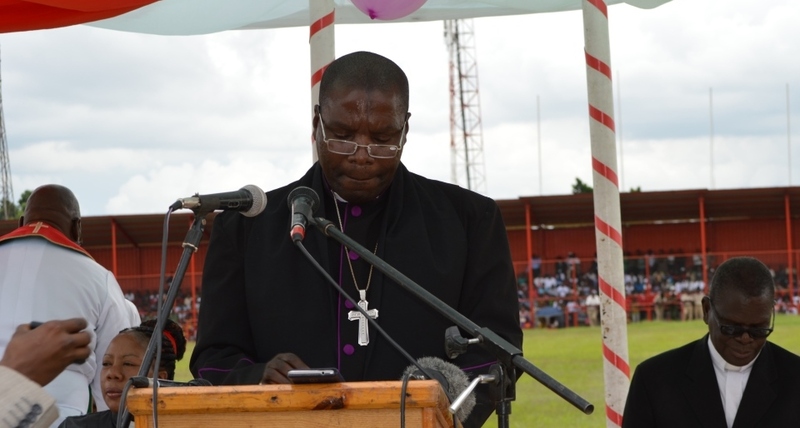 He has previously served in Central, Copperbelt and Northern Presbyteries. In May 1999, he was appointed Acting Bishop for Northern Presbytery by the Synod Executive and elected Presbytery Bishop early in August the same year, the position he held until his appointment as Acting Synod Bishop from May 15, 2005 to June 10, 2006. He was elected Bishop at the 2008 Synod and he was re-elected at the 2012 Synod and will serve out his last term by June 2016. 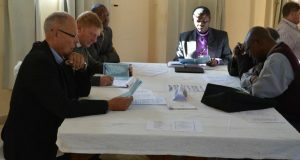 As head of the UCZ, Bishop Mulumbwa is responsible for the pastroral care of both the clergy and members. He undertakes pastoral visits to all the Presbyteries throughout the country, where the UCZ has congregations and sub-congregations, checking on the physical and spiritual well-being of Church workers and members alike. The soft-spoken Bishop Mulumbwa is married to Precious and they have nine children. The couple is also blessed with five grandchildren. 1998 – June 1999: Chimwemwe, Kitwe. 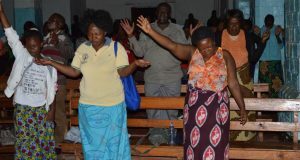 Bishop Mulumbwa’s vision for the UCZ is to see a Church that not only grows both spiritually and in numbers, but also one that becomes self-sustaining financially as it brings many people to the Lord through teaching and preaching the Good News. His earnest prayer is to remain himself at all times so that only the Holy Spirit can influence his actions. The Bishop thanks, first and foremost, God our creator for being kind and loving to him and his family. He also wishes to thank the Church for the confidence shown in him and prays that the Church will always remain UNITED.